Plastic products are ubiquitous in the modern world. They are convenient, easy to manufacture and affordable. Because they are essentially non-degradable, they are accumulating in the environment at frightening rates. 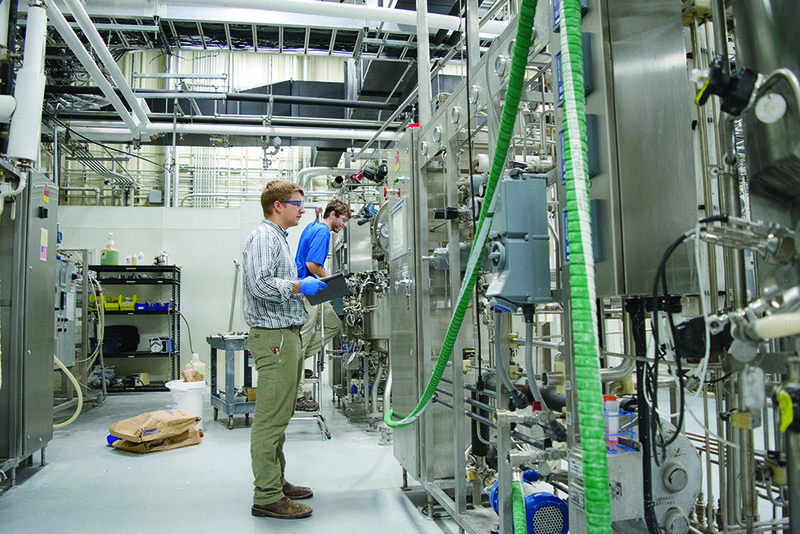 Fortunately, Danimer Scientific, located in Bainbridge, Georgia, is pioneering more sustainable and natural ways to make plastic products, and they are aided by collaborations with UGA researchers. The heart of Danimer Scientific’s efforts is the production of plastic-like materials from biopolymers that are derived not from refineries but farms. Oil produced from canola seeds is used as a source of carbon and energy for specially engineered bacteria that are grown in bioreactors at Danimer Scientific facilities. The bacteria convert the oil to the chemical polyhydroxyalkanoate or PHA. 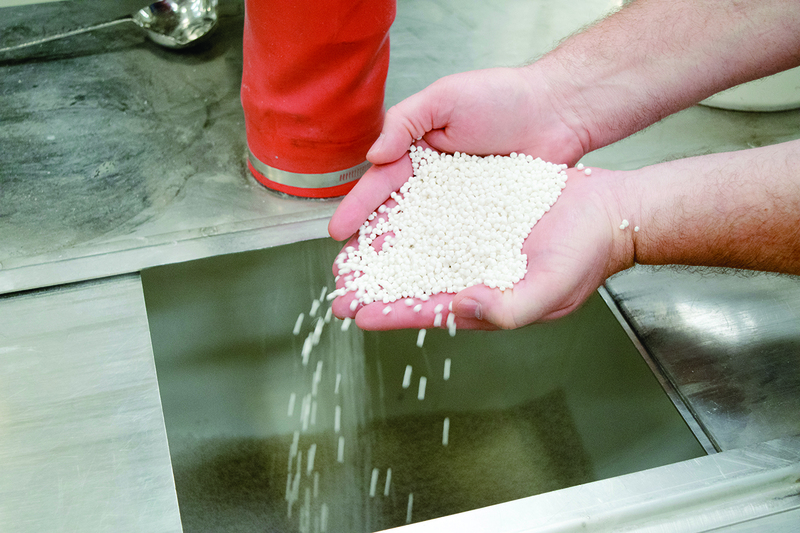 PHA is extracted from the bacteria, purified, dried, and then run through an extruder that converts the raw PHA into small resin pellets the size of a pea. The pellets are then shipped to Danimer Scientific’s business partners who use the resin to manufacture containers, packaging and utensils. Research has shown that plastic-like materials derived from PHA degrade rapidly in soil, freshwater and saltwater. In comparison, the current ubiquitous plastics, which are made from the byproducts of fossil fuels, will persist in these environments for hundreds if not thousands of years. The challenge now is to lower the cost of producing PHA-derived materials in order to make them competitive with plastics. “The University of Georgia relationship has helped us to accelerate our development as well as provide the next generation of employees who will be critical to our continued growth,” said Stephen Croskrey, Danimer Scientific’s chief executive officer. The collaboration between Danimer Scientific and UGA was recently boosted through an agreement that provides the company with laboratory space on campus, access to advanced scientific equipment, and opportunities to consult and collaborate with faculty experts. Danimer Scientific has also provided financial support to several UGA faculty members who are working with the company to test and improve their products. Recipients include Jason Locklin, Jenna Jambeck and Mark Eiteman. The partnership with Danimer Scientific is facilitated by the Office of Research Industry Engagement team-a one-stop shop for companies who want to connect with UGA researchers.